The Orchid show at the Chicago Botanic Garden opened at the perfect time. This winter has been rather harsh. We had a mini polar vortex and lots of snow. I mean, it’s Chicago, so, nothing terribly unusual, but…. I am so over winter. I couldn’t wait for the Orchid show this year! I took my mom a week or so ago to check it out and to help chase the winter blues away. And the orchids did NOT disappoint. This years show was outstanding! The theme was “In the Tropics” and it totally captured the spirit of islands, beaches, and rainforests in places like the South Pacific and the Amazon. These are just a few of my favorite photos from this years Orchid Show. I’ll add more to my Flickr account in the next few days! Are you a fan of Orchids? Which are your favorites? Let me know in the comment section below! Happy Friday! I hope you had a great week! This week was pretty low key. I painted a lot, but not anything for my upcoming craft shows. I'm in love with a new painting technique you might have heard about-- acrylic paint pouring. I know, I know. It's the trend du jour, but I just love it. I'll post a few pics of the ones I've made that turned out super pretty. This weekend though, I HAVE to work on craft show prep-- no excuses. 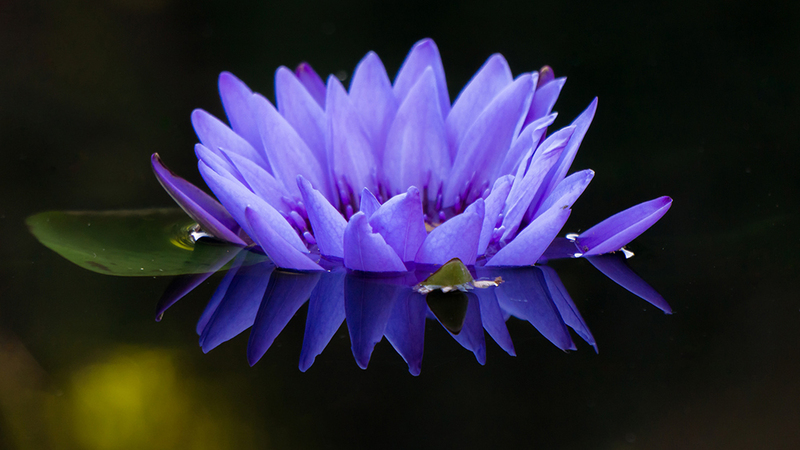 This week's photo roundup features more of my favorite waterlilies from the Chicago Botanic Garden. I miss the Garden (and nice weather and sunshine...) I don't go often this time of year because it gets dark so early, I don't have a chance to make it there after work before the sun sets. But, thankfully, I have tons of photos to get me through the long dark winter! I hope you have a fabulous weekend and maybe get out and enjoy the last bits of autumn! It's been a while since I've done a smash cake session, so when Ellie's mom asked us if we could do one for her, it was a resounding "YES!" 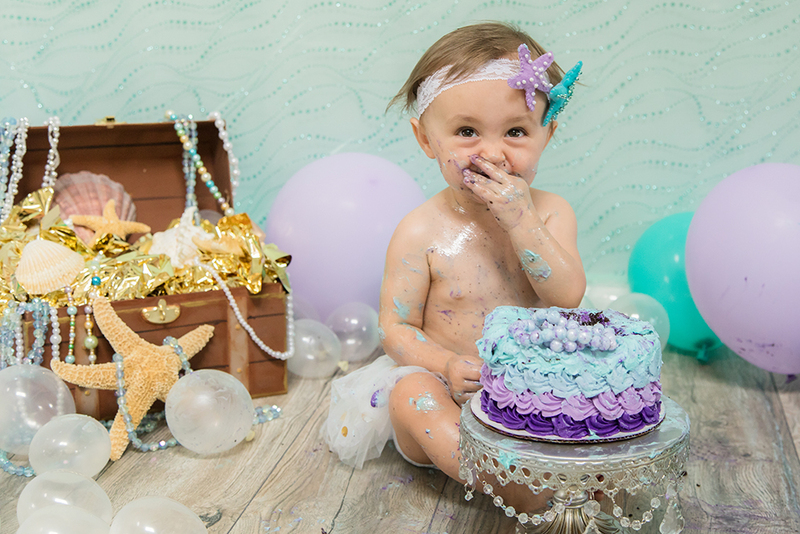 Smash cake sessions are so much fun to plan and to shoot. We discussed with mom what sort of theme she wanted and she mentioned she was considering a mermaid theme. You know when you hear something and you get a flood of ideas about how that thing should look or be? That was totally me. I had a TON of ideas and I couldn't wait to get started! This photo shoot turned out EXACTLY the way I had planned. I found a paper mache box and painted it to look like a treasure chest. We made pearl and beaded jewelry and used starfish and other shells from previous photo shoots to decorate in and around the chest. The fabric backdrop was from Joann's and my mom and I made the little headband Ellie is wearing and it's totally my favorite part of this whole setup. Oh my goodness!!! Isn't she the sweetest?! Ellie's mom even picked up the perfect cake for her that matched our theme perfectly! 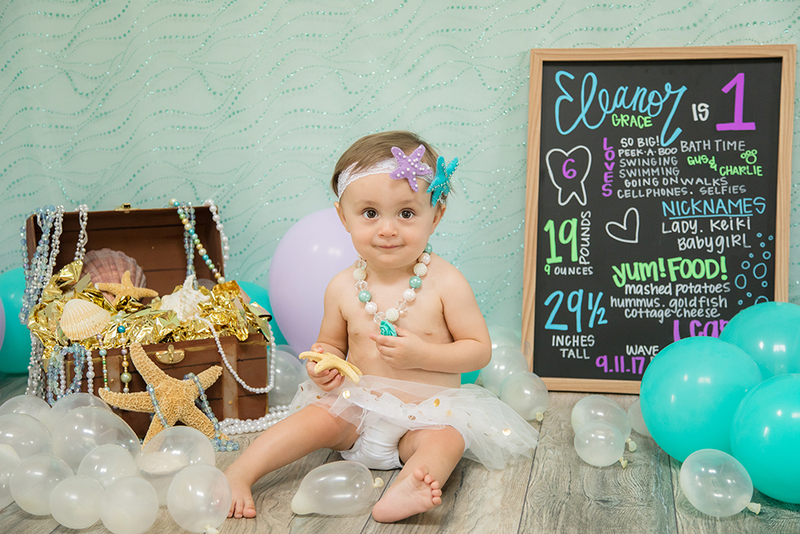 Ellie was so sweet and expressive and thoroughly enjoyed the balloons, her cake, and most of all, her jewelry. And the best part is that mom and dad will have super cute photos to remember this special occasion for years to come! Here we are. End of September. I didn't update my flickr while we were on vacation. I've made it a habit to upload an image to flickr on the days that I go to work. So, on my days off and while I was out of town, I didn't upload any photos. I did post photos everyday while on our Sedona adventure on my Instagram. If you're curious, go check it out! I'll post more about our adventure and post more photos a little bit later. Since I was home and working most of last week, I did manage to upload a few photos! They are from my last to the garden way back at the end of August. Enjoy! I hope you have a lovely weekend and you get a chance to get out and enjoy some fall weather and PSL's! How is it September already?! Don't get me wrong, I'm not upset at all. It is my most favorite month. First of all, I feel like September 1 is the unofficial start of Pumpkin everything season (no complaints here!) AND, it's our birthday month. <insert crowd cheering noises> This September is going to be full of photo adventures and cake. This weeks photos are from my last trip to the Botanic Garden. I wanted to showcase more almost-the-end of season flowers that I cannot get enough of, like waterlilys, passion flowers, and those yellow Helenium (also known as sneezeweed!) Enjoy! I hope you have a good weekend and a fantastic start to your September! This week was great! I painted and made a ton of progress on my latest succulent painting. I made plans for a new painting, new posts for the blog, and new items my shops that I'm super excited about. And, I went to the garden. I can't ask for anything more. It was wonderful week. With summer (sadly!) coming to a close, I wanted to post flowers that are quintessentially summer. That means sunflowers, Japanese anemones, and bright yellow daisies! I hope you enjoy this weeks photos from Flickr. If you need more lovely photo inspiration, follow me on over on Instagram. I post flowers and pretty things as well as behind the scenes photos every day! Have a fantastic weekend and enjoy this last weekend of August! Hello and happy Friday! I hope your 4th of July holiday week was fantastic. I'm so thankful that this was a 3 day work week, it was pretty hard to get back into the swing of things after the long weekend. And now, I'm ready for another weekend! Since it was a short work week, I only posted a few of my favorites from my last trip to the botanic garden. I was THRILLED to see all the waterlilies blooming this year and took a ton of photos. I can't help it, I just adore them. Also, check out the incredible colors of this asiatic tiger lily! Can you believe that color?! If you're as big of a fan of waterlilies as I am, stop by my shop to check out waterlily canvas prints, photo notecards, tote bags and other home decor pieces. Let me know which ones are your favorite in the comment section below. Happy Friday! This week was pretty quiet. I spent most of it sitting outside and enjoying my patio. I also painted a lot. As of today, I think I only have 20 days left of my #the100dayproject. Crazy right? This weeks photos were from my last visit to the Botanic Garden a few weeks ago. 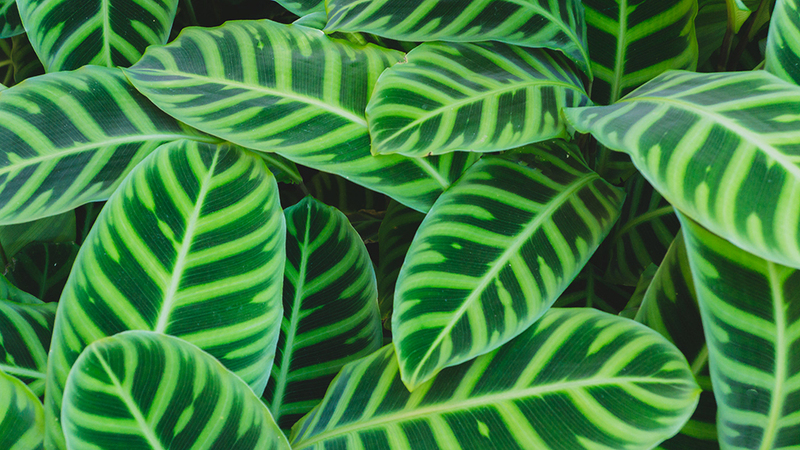 They have a new summer show called Brazil in the Garden, which features bright and bold plants native to Brazil and the tropics. I can't wait to check it out and share my photos with you! I hope you have a lovely weekend and have a chance to get outside and enjoy the first weekend of Summer!